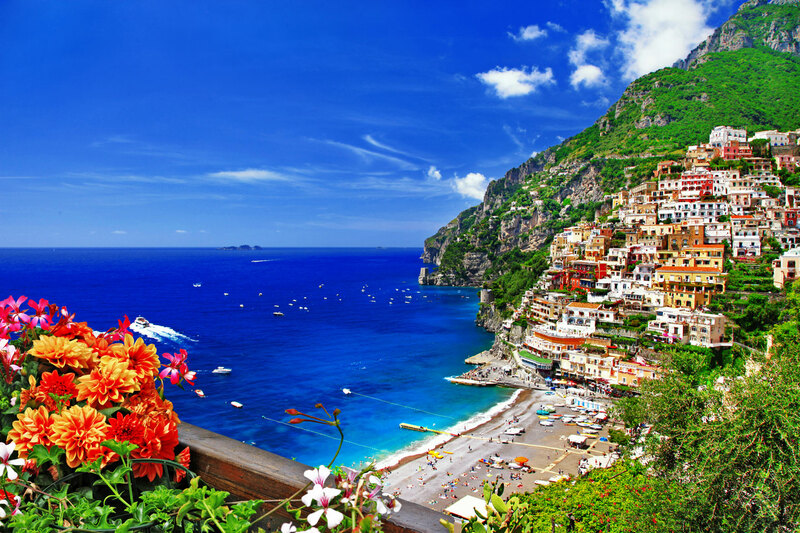 The Amalfi Coast is a stunning 50km stretch of coastline that makes up the southern edge of Italy’s Sorrentine Peninsula. 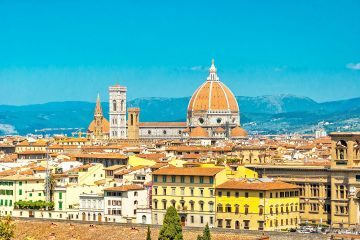 A popular holiday destination for both holidaymakers and yacht-goers, UNESCO has deemed the coast to be an exceptional example of a perfect Mediterranean landscape. 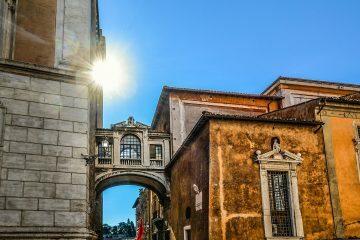 With the rugged shoreline and pristine beaches attracting many from around the globe, crowds spread out to the main cities: Sorrento, Positano, Amalfi, and Ravello. 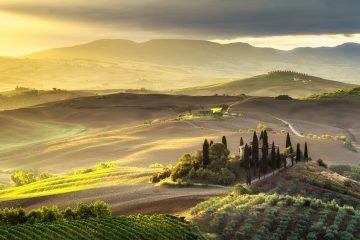 Packed with vineyards, cliffside lemon groves, pastel-colored fishing villages and grand villas, it’s not surprising why this place is a favorite among travelers. 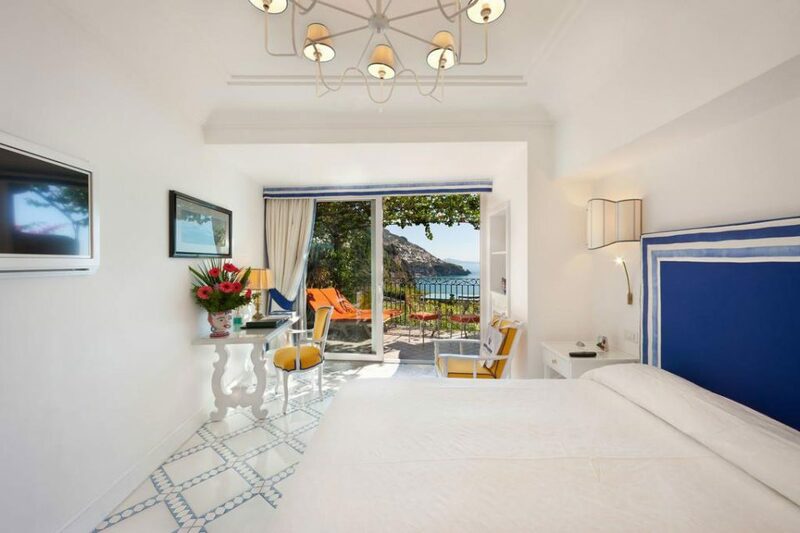 If you’re also attracted by the color and wealth of the Amalfi Coast, here is a list of our personal recommendations of the best luxury hotels to stay at. If you’re interested in exploring Positano, II San Pietro di Positano is in an ideal place to base yourself in. 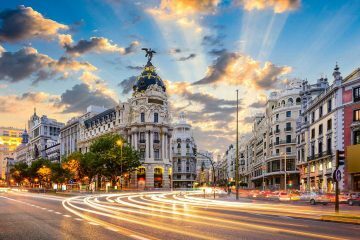 Located just 5-minutes away from the center, but removed enough from the city noise, you can take a leisurely walk to the main sites or take the free hotel shuttle. 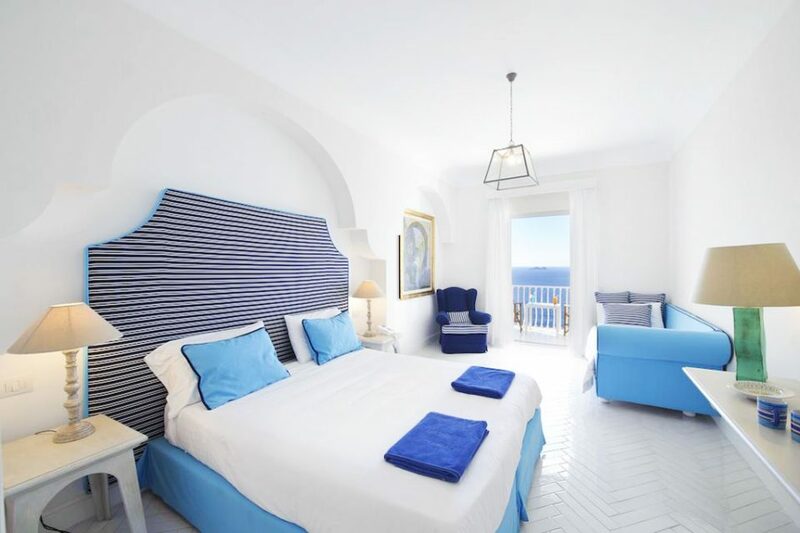 A very bright and open hotel, guests can enjoy elegantly furnished rooms with a private terrace and sea views. Featuring a fitness center, outdoor pool, and tennis court, the hotel offers plenty of opportunities to be active, as well as a spa and private beach if you want to relax. Apart from having a fantastic private location and facilities, the five-star hotel also boasts a Michelin restaurant serving amazing gourmet food setting the scene for fabulous sunset meal. 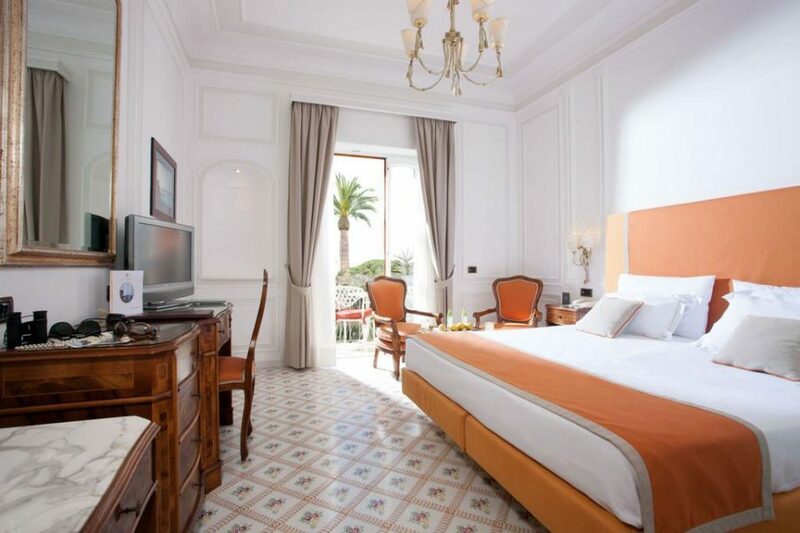 We have heard from many hotel-goers who research thoroughly the best places to stay, that they made the 100% right choice in choosing Hotel Marincanto. Just a 1-minute walk from the beach, the hotel is surrounded by popular shops and restaurants right in the heart of Positano. Although in the center, guests can enjoy a quiet atmosphere and spend some time at the hotel wellness center or in the infinity pool admiring the panoramic views. Views of the Mediterranean Sea can also be enjoyed over a delicious local breakfast buffet on the terrace. 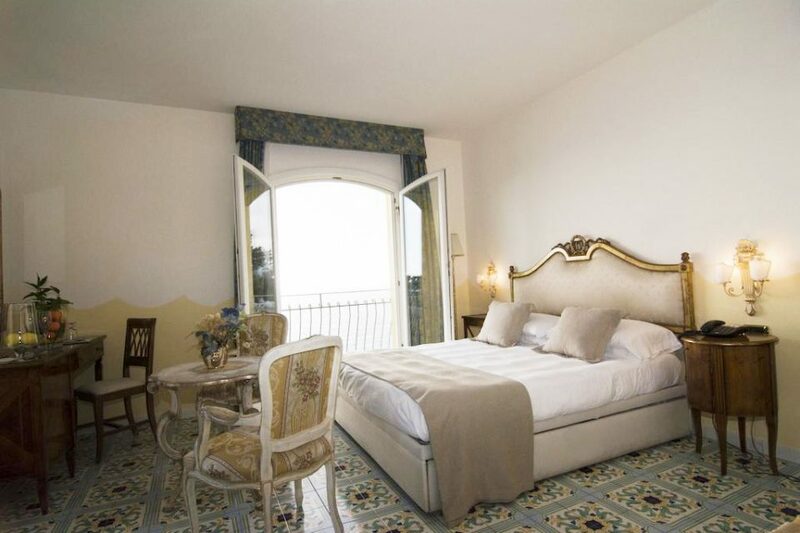 For those looking for a quiet yet central hotel on the Amalfi Coast, we recommend that you check out Hotel Marincanto. It has a private beach, luxurious rooms, and great food! 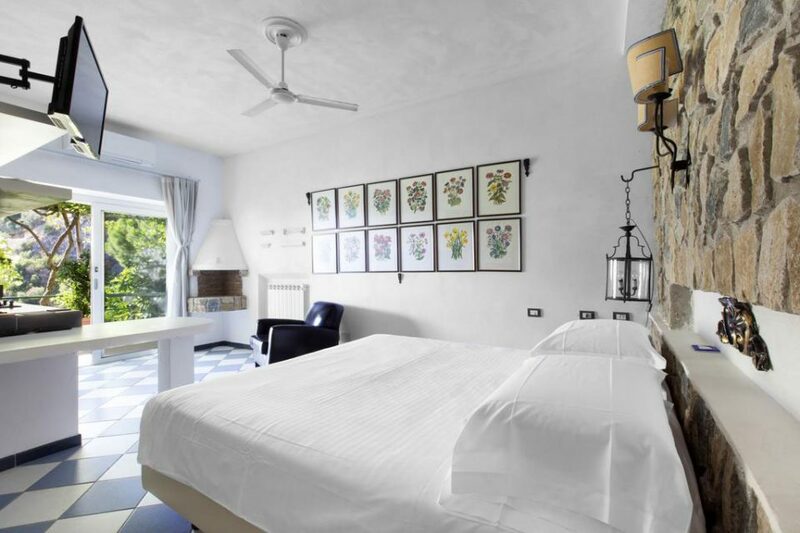 If you’re looking for luxury but want a hotel with cool and laidback vibes, I Giardini Dei Sensi will not disappoint! New owners have taken over the hotel last year, so expect cool staff, new refurbishments and high standards. The whole boutique hotel is very modern and lavish, to the point where it looks like something that’s been in everyone’s dreams. With a lot of the original rustic hotel qualities intact, the accommodation has a very charming feel; the spacious studios are also uniquely decorated with original art, a kitchenette, and a living/dining area. Featuring terraced gardens, open-air showers, and views of the Amalfi Coast and Positano, how does sitting with a glass of wine at sunset sound? For magical views of the coast, Villa Magia will definitely give you an experience that you will remember forever. Whether in the pristine gardens, the outdoor swimming pool or having breakfast on the terrace, you get to relish in stunning views of the Tyrrhenian Sea. The same goes for your luxurious rooms, which are bright and spacious, some with a private balcony and a James Bond circular bathroom. As well as just being incredibly picture-perfect, the hotel also offers a spa and fitness center, a bar and restaurant, and a wealth of activities to make the most of the nature that surrounds you. If you’re looking for a stylish boutique hotel that will make your stay special, we highly recommend Villa Magia. 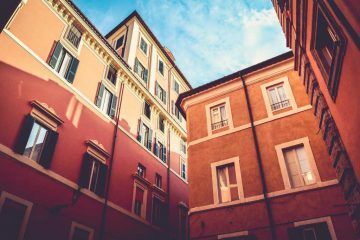 If convenience is your priority, you can stay in your own little bubble of luxury at Covo Dei Saraceni. Although the hotel is located a short walk away from the town, everything you could need is very close by. 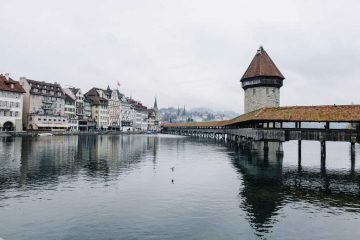 Surrounded by great local restaurants and easy access to the ferry ports, you never have to venture out of your way unless you want to explore. As well as location, the hotel also scores points for food and ambiance. Enjoy a sweet and savory buffet breakfast to start your morning the right way and feast on Mediterranean and seafood delicacies at the restaurant. 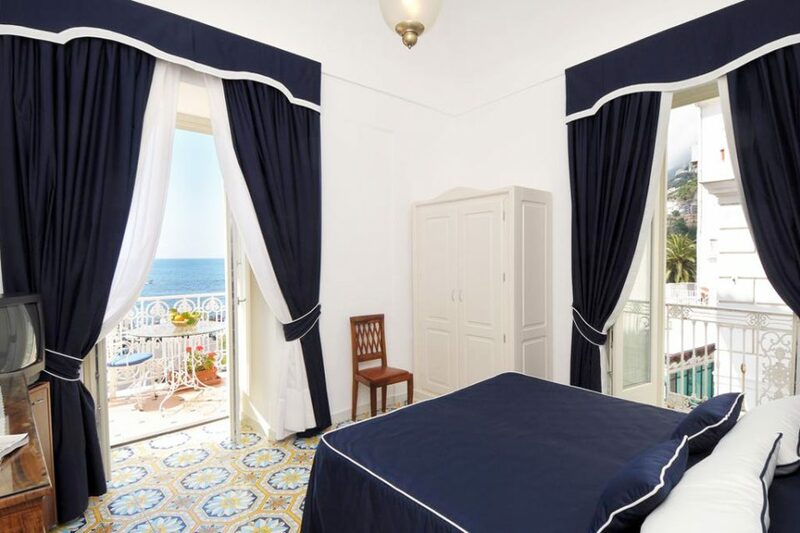 With this seafront location, relish the five-star view from your elegant room in one of the best hotels on the Amalfi Coast. 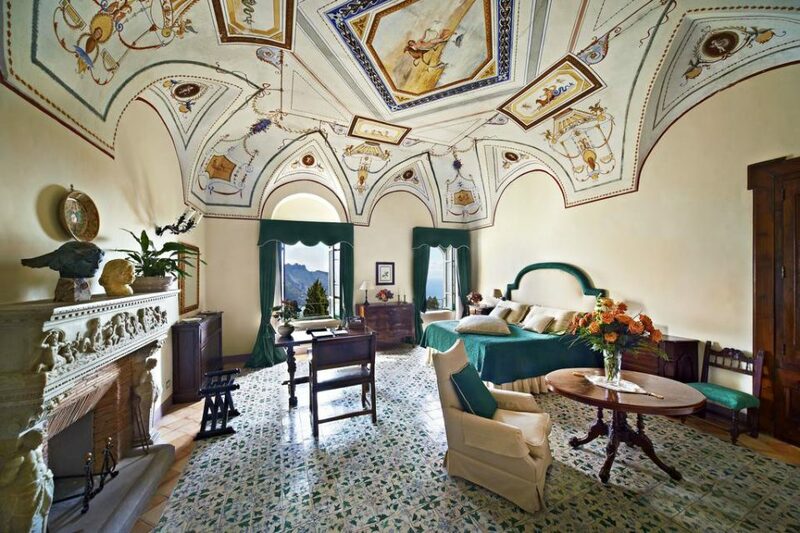 Want a top class place to stay in Ravello? Well, guests have praised the Belmond Hotel Caruso for being perfect in every way. Set in a renovated 11th-century building perched on the cliff-side, this hotel already guarantees its guests beautiful interiors and sweeping sea views. What it doesn’t guarantee, is professional staff and a service that is impeccable. The food served at the Italian Restaurant and the Pool Restaurant are also exceptional, so prepare to be relaxed and satiated at all times. With bright and spacious rooms located in the pristine gardens, nothing is more relaxing than sitting on your private balcony or in the infinity pool with views like this. If you’re traveling to the Amalfi Coast in the summer, the hotel offers complimentary boat excursions which are a bonus. Can you get more luxury than a castle in the countryside? I didn’t think so. 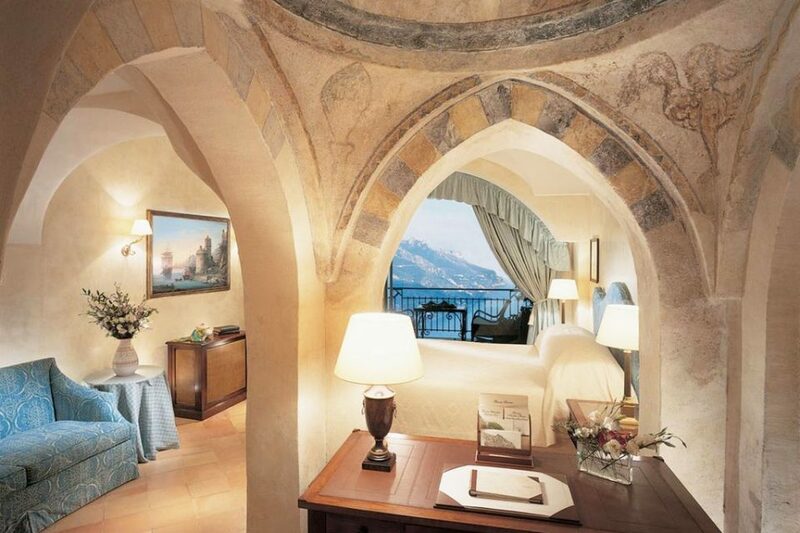 Hotel Villa Cimbrone is just that, set on a hilltop, just a 10-minute walk from Ravello and a 15-minute drive to Amalfi. As you can imagine, this five-star castle comes with pristine grounds that really set the scene for your luxury escape. As well as this, guests also get the benefit of being a mere 10-minutes away from the beach. Complete with an outdoor pool, panoramic gardens and a helicopter pad, everything about this place is quite the surreal experience. Featuring massive rooms and a Michelin-starred restaurant, is it too soon to book? Set in a restored monastery which is carved into the side of a majestic mountain, the NH Collection Grand Hotel Convento di Amalfi is much more than just an architect’s dream; this place is paradise. 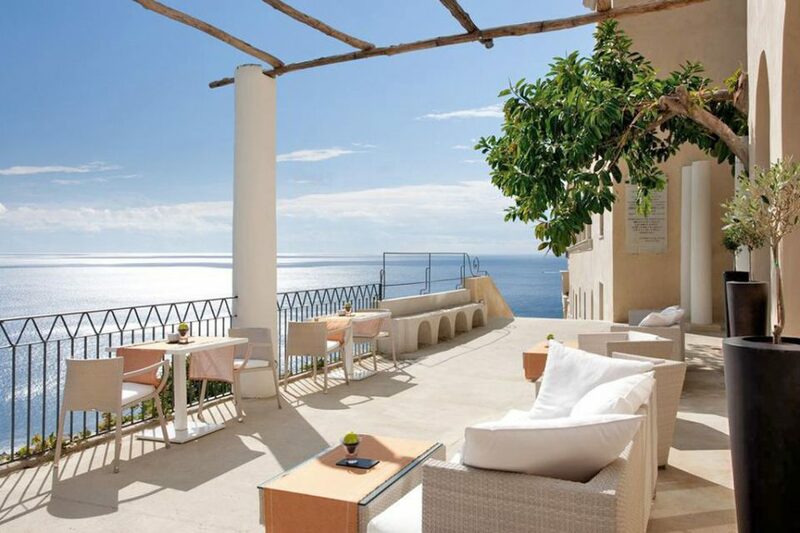 Commanding an outstanding panoramic view of the Amalfi Coast, this hotel makes the most of its outdoor spaces. Outside you will see a stunning design, where an infinity pool and a pristine terrace are surrounded by gardens that permeate a lovely citrusy fragrance. If this natural beauty just isn’t enough, the minimalist rooms have an attractive Art Deco decor, and the spa and private chapel are simply stunning. 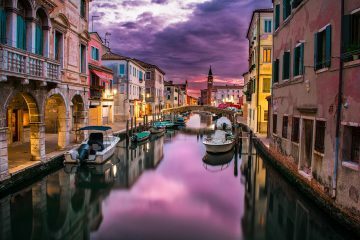 Offering two restaurants that serve a variety of quality cuisine, the hotel is also a quick walk to town where there are quaint shops full of all the gelato and limoncello you can handle. If there is one thing that makes Hotel Residence stand out, it is the fantastic location. 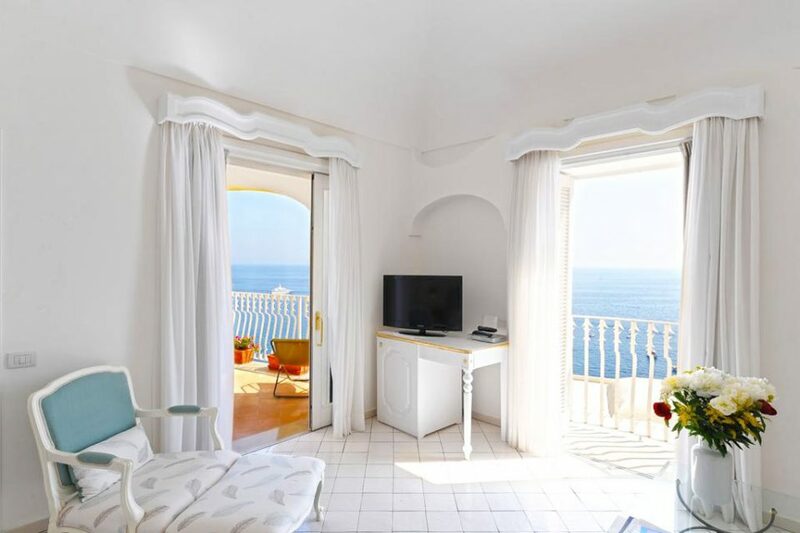 Set right on the Amalfi Coast, the property is right on the beach and surrounded by many restaurants, gelato stores, and a few too many souvenir shops. As well as the central location, the decor of the hotel is also pleasing, with all rooms featuring a nautical-like color scheme and balconies. A breakfast including fresh and local produce is laid out daily on the terrace for guests to enjoy. 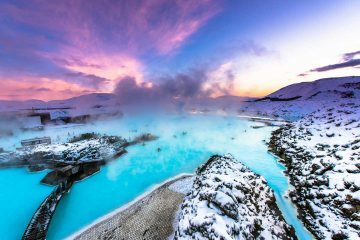 For those looking to stay somewhere luxurious without having to spend thousands of dollars, this is one of our top picks. The one thing that stands out about Hotel Santa Caterina is the impeccable service. Guests have noted this with every single member of staff, claiming that they will all remember you and what you ordered from the bell staff to the beach staff. Can you get more personal service than this? 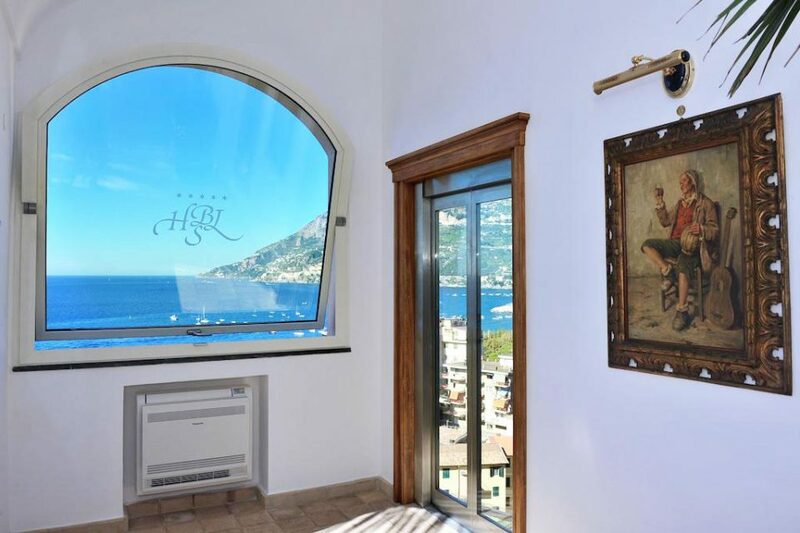 Built right into the rocks of the Amalfi Coast, you can take advantage of breathtaking views as well as the hotel facilities from the wellness and fitness center to the outdoor pool and private beach. 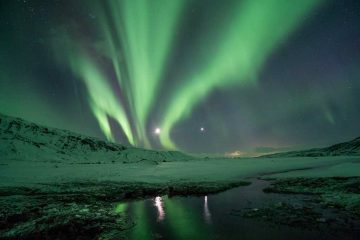 Views can also be enjoyed from the elegant rooms or the outside terrace of the award-winning restaurant. How do you fancy local seafood dishes or pizza cooked in the wood-burning oven? 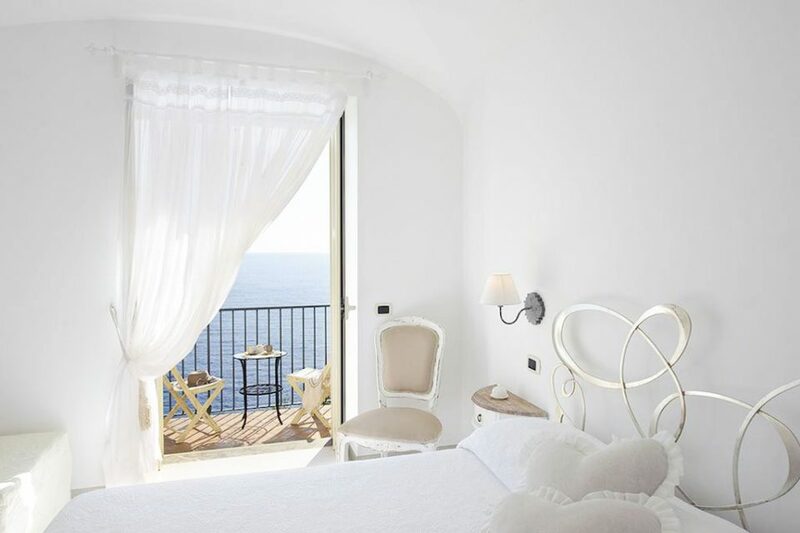 Perched on the cliffs of the Amalfi Coast, this hotel boasts spectacular views of the bay of Naples and Mt. Vesuvius. Feeling like special guests from the moment you arrive, you can jump straight in and take advantage of all the facilities on offer. Head down to the private beach and go snorkeling, or chill in the pool with a drink in hand. Whatever your favorite way to spend your holiday, I’m sure everyone will delight in the food that’s on offer. Choose between three bars and two restaurants for traditional Italian, Neapolitan and international cuisine. 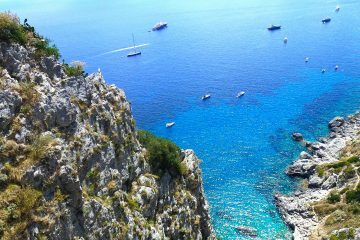 Want to escape the touristy crowds of Amalfi and Positano? Then head to Praiano and stay at the luxurious La Maurella. As well as providing you with the calm and relaxing atmosphere that you need, the hotel will also exceed your expectations. 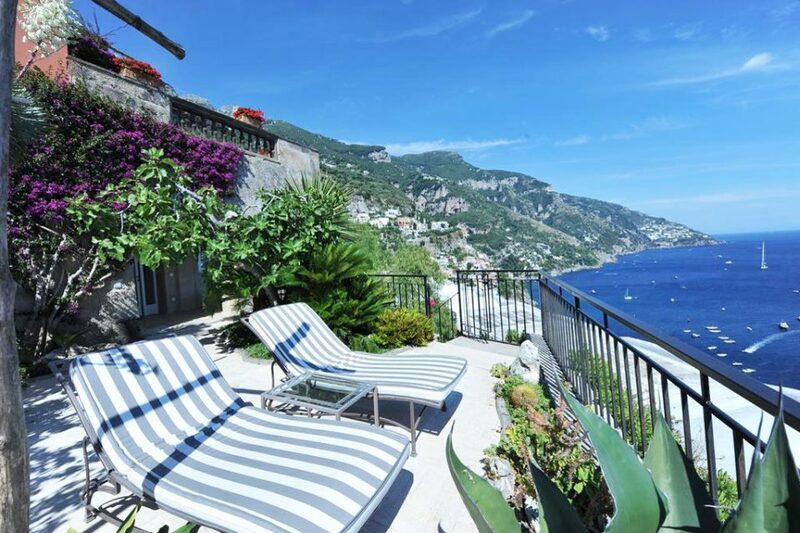 Located a stone throw away from Praiano Center and a short drive away from Amalfi and Positano, at La Maurella you have so many options to explore while enjoying stunning views of the Tyrrhenian Sea. If this isn’t convenient enough, the concierge will help you out, arranging anything from dinner reservations including pick up and drop off to transport and planning a day out. A simply flawless hotel in a beautiful setting, this hotel is our top choice if you want luxury without a hefty price tag. If you like a bit of adventure thrown into your luxury stay, Tramonto d’Oro has a lot of activities on offer. Just a 3-minute walk from the beach, the hotel has a lot of watersports facilities just waiting to be used. Ever wanted to try snorkeling, diving, or windsurfing? Or perhaps canoeing or hiking is more your style? Whatever your activity of choice is, you will definitely be working up an appetite for some gourmet food at the onsite restaurant. Offering a rooftop pool and wellness center, you are guaranteed to be both amused and relaxed at Tramonto d’Oro. 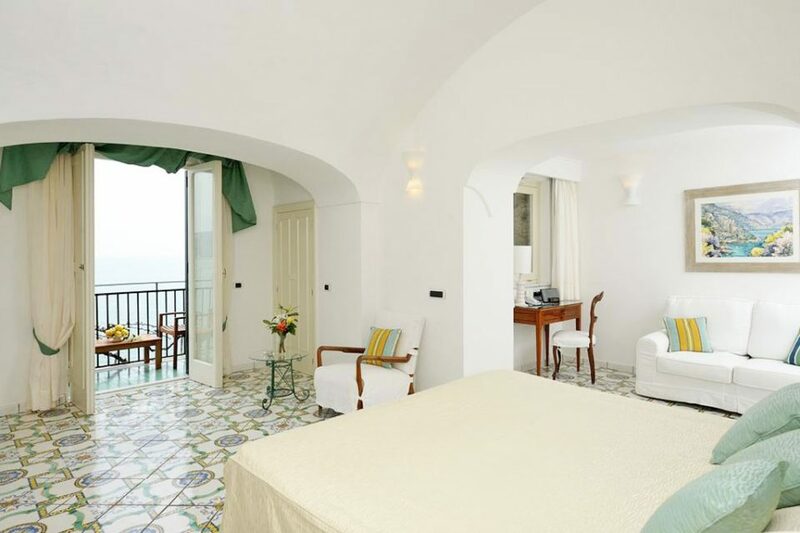 Just a 6-minute walk from the beach, you’ll find Hotel Villa Pandora, a small and intimate hotel on the Amalfi Coast. Surrounded by lemon trees on the Lattari Mountains on one side and clear blue waters on the other, this property has a particularly stunning setting to begin with. Once you enter this lovely family-run hotel, you’ll then have a smile on your face right up until you leave. With the great service and friendly atmosphere, you will feel comfortable whether you’re in the outdoor pool, eating breakfast on the terrace or taking advantage of the hotel discounts at the local restaurants. If you want luxury without breaking the bank, this hotel is the perfect base for exploring the Amalfi Coast. Located in the small seaside town of Maiori, you will find Hotel Botanico San Lazzaro sat smack bang in the middle of the sea and the hills. The first thing guests have noted is that you arrive at the hotel by a glass elevator. I don’t know about you but this is very cool as well as being super convenient for carrying luggage uphill! Next, you have to take in the hotel as a whole. In a breathtaking building, the hotel offers five-star suites, an outdoor pool, and a terrace and private garden with sea views. As well as these facilities, guests can also benefit from the private beach, the onsite spa and a choice of two restaurants. So, there we have it. Our complete guide to the best luxury hotels on the Amalfi Coast. With so many stunning properties to choose from, what matters to you most? First-class service, stunning decor, or just a piece of luxury in the sun? 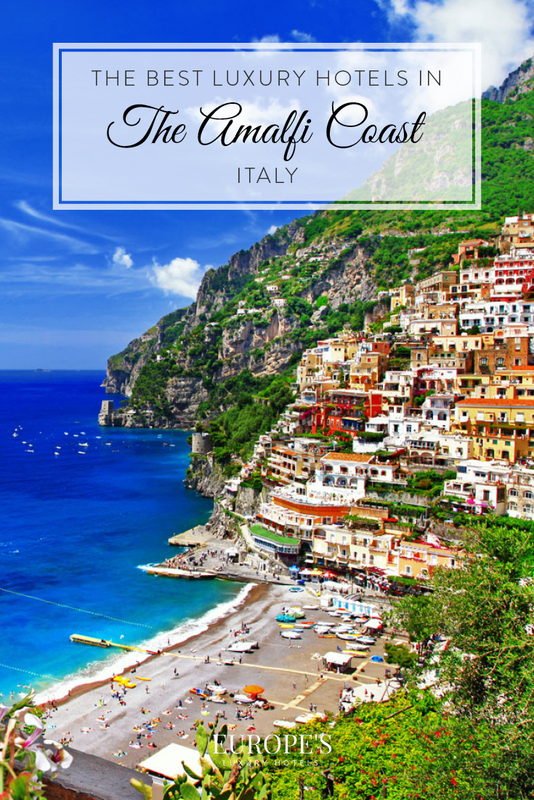 Whatever your choice is, you’re bound to have an amazing time soaking up the best of what the Amalfi coast can offer.